Clipco staplers are made of durable, long-lasting materials that are perfect for your every day needs. Ideal for schools, offices and home. 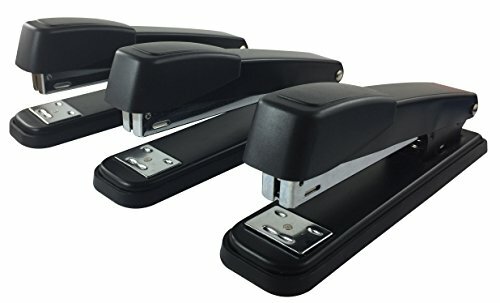 These staplers are made of steel with a smooth black powder coat finish. The stapler action is strong to secure paper documents and for a multitude of uses. Clipco offers a 100% satisfaction money back guarantee. If you have any questions about this product by Clipco, contact us by completing and submitting the form below. If you are looking for a specif part number, please include it with your message.